You are here: Home / Blog Reviews / The Almond Tree – Strong, good book !! Recommended! Young Palestinian – Ahmad – live with the knowledge that it is not able to win with the logic of a cruel war. Growing up in an environment steeped in fear of losing their home, work or life. Worst, however, is the fear of loved ones. I do not know what tomorrow will bring. The twelfth birthday Ahmad comes face to face with the worst spectra. Sister lose their lives, the father of his guilt goes to prison, the Israeli military confiscated the house, and beloved brother lusting for revenge that can only lead him to destruction. Ahmad has to take care wronged family and find a better future for themselves. Given a wonderful mind, able to break all boundaries math, wants to give hope to yourself, your loved ones and tormented country. On the “almond tree”, I was horny as jagged on biscuits, since I began to appear reviews of this book. Although some were skeptical, some voices (although few) hesitant, I still felt that I had to read it. Kika times I had it in my hands, but the lack of time to effectively suppress my aspirations. And finally … I got it yesterday, because literally when Mom walked into the kitchen after a meeting with the postman, I was finishing – book read previously. Coming “almond trees” appeared as an obvious sign. A character can not be ignored. “Almond Tree” is a novel that takes us through half a century of conflict Israelis and Palestinians, tells the story of a man in a vortex wplątanego great history. It is a story of suffering, maturation, love and forgiveness. Agreements, contrary to the national divisions. Really strong, but bitter story. He can shake and squeeze tears. You can not escape the comparison of the book to “Boy with a kite.” “Almond Tree”, based on a similar schedule, and I can not say that the performance was weaker. Merit is undoubtedly in the circumstances of, or cruel war, violence and prejudice which we in Poland for several decades – happily – we have no idea. Reading about a boy whose relatively stable childhood ends one night and he must bear the burden which transcends not only the strength of the child, but an adult makes it freezes. The book reads quickly, but you need to take a break to recover from this nightmare, because in the book there are few bright moments. I remember that some accused the book accumulation of misfortunes. So … is this a lot, but the reader is able to believe that this is true is war and it is so gentle. Those who do not like sadness, not like a tragedy in the pages of the novel, do not choose such books. Do you like them who are masochists? 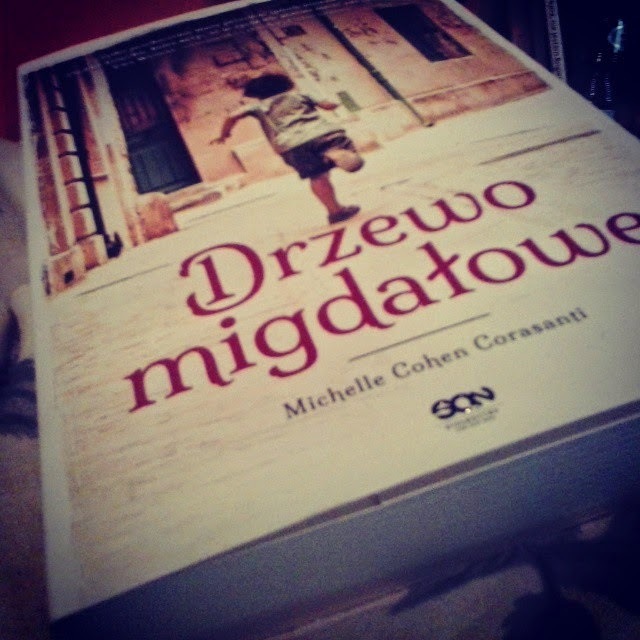 Whence, through books such as “almond tree”, “The Kite Runner”, “A Thousand Splendid Suns” have to catch my breath, watch a romantic comedy, admire the sunset, take to bed CZYTADLO and a cup of hot chocolate, because they smash our peace, change our vision and show the world the true, not only zaróżowiony by his glasses, but brutal and gray. That such books are pushing us towards building a better tomorrow. Tomorrow without war, without hunger and tears. And in addition – we owe people who suffer when we sleep peacefully in their beds, although minimally conscious about their tragedy. No! This book is not very light as a feather, do not amuse us, but the books you have read. I urge you this hot. Strong, good book !! Recommended!